• PDF file conversion. Create PDF documents from any application that prints, including one-button conversion from Microsoft Word, Excel, PowerPoint, Outlook, Publisher, and Access, as well as Firefox and Lotus Notes — without ever leaving your authoring application. • HTML to PDF. With a single click from within Internet Explorer or Firefox, capture web pages as PDF files, keeping all links intact. Convert only a portion of the page by selecting just the content you want. • Email to PDF. Handle email-based communication more efficiently and simplify email search and retrieval. Archive emails or email folders from Microsoft Outlook or IBM Lotus Notes with one-button ease. Easily edit PDF files and quickly export PDFs to Word or Excel documents. Spend less time rekeying information and more time reusing content. 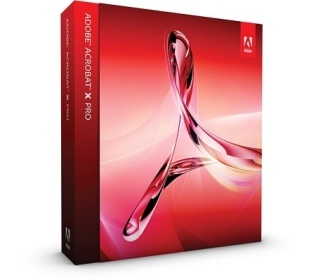 Use Acrobat X to reduce errors, improve productivity, and finish projects faster. • PDF to Word. Save PDF files as Word documents with improved preservation of formatting and layouts. Relative positioning of tables, images, and even multicolumn text is preserved, as well as page, paragraph, and font attributes. • PDF to Excel. Expedite reuse of content by converting PDF document data to Excel file formats. Even select a portion of a PDF page and export it to an editable format. • Editing PDF files. Quickly and easily edit PDF documents without going back to the original source files. Save time by making simple changes to text and images directly within PDF files. Remove, reorder, and rotate PDF pages. • PDF Portfolio assembly. Quickly assemble a wide range of file types — including audio, video, and rich media content — into a polished, organized PDF Portfolio using the new PDF Portfolio Wizard. • Rich media. Quickly bring ideas to life through rich, interactive documents. Insert audio, Flash Player compatible video, and interactive media into PDF files, for seamless playback in Adobe Reader X or Reader 9. • Attaching native files. Make sure source files are simple to locate, access, and archive. Attach them to any PDF document in their original, native formats, ensuring a more complete document of record. Use innovative productivity-enhancing software features to simplify complex projects, prepare and present high-quality content, and achieve better results. • Action Wizard. Automate routine, multistep tasks into a guided Action. Create, manage, execute, and share a sequence of frequently used steps that can be applied to a single PDF or batches of files. • Quick Tools. Quickly access the tools you use most — from your favorite PDF document editing tools to your most-often used comment and markup tools — by adding them to the Quick Tools area. • Version comparison. Eliminate confusion and improve version control. Easily identify differences between two versions of a PDF file by having Acrobat analyze both files and highlight changes to text and images. • Integration with Microsoft SharePoint. Work seamlessly with PDF files in Microsoft SharePoint. Access SharePoint from any Acrobat Open or Save dialog box. Open PDF files from SharePoint for viewing. Check them out for editing, and then check them back in (Windows only). Gather feedback efficiently and accelerate approvals. Use shared online document reviews and PDF comments to get — and keep — everyone on the same page from project start to finish. • Commenting tools. Review and mark up PDF files using a complete set of familiar commenting tools, including sticky note and highlighter tools, lines, and stamps. • Online document reviews. Gain the feedback you need, faster, through easy-to-manage, shared document reviews that allow participants to see and build on one another’s comments. Easily track progress and participation, add reviewers, and email updates or reminders. • Extending Reader functionality. Enable Adobe Reader X or Reader 9 users to participate in shared reviews, fill and save forms, and digitally sign and approve PDF documents — regardless of platform or operating system. • Commenting tool pane. Access markup tools and view comments from a single, unified tool pane. View all comments in a searchable list that can be filtered and sorted by page, author, and date. Create, distribute, and track easy-to-use, interactive PDF forms that look like familiar paper forms — without asking IT for help. • Form Wizard. Easily create dynamic, fillable PDF forms from paper or existing electronic files. Automatically convert static fields to fillable ones with the Form Wizard. • Adobe Reader support. Enable Adobe Reader users (Reader 9 or X only) to fill and save forms — regardless of platform or operating system. • Distribution and tracking. Distribute forms, track status, and compile results to expedite more accurate information collection. Use services at Acrobat.com to distribute and collect forms. • Analyzing data. Streamline data reporting and analysis. Automatically compile form data in a single document or view. Filter responses as required. Easily export data to a spreadsheet for analysis. Simple-to-use security features enable you to protect sensitive information. Use PDF passwords, digital signatures, and redaction to build electronic processes you can trust. • Digital signatures. Digitally sign PDF documents, or add document timestamps. Add certified digital signatures to help recipients validate document authenticity and integrity. • Enabling Reader users to sign. Enable Adobe Reader X or Reader 9 users to digitally sign PDF documents and forms or add document timestamps. • Passwords and permissions. Use passwords to help control access to your PDF documents. Apply permissions to restrict printing, copying, or altering. Save passwords and permissions as security policies that can be easily applied to new PDF files. • Permanent information removal. Use redaction tools to permanently delete sensitive information, including specific text and illustrations. Easily sanitize documents with one click, finding and deleting hidden information such as metadata, annotations, attachments, form fields, layers, and bookmarks. Enable anyone, anywhere, to view, search, and print PDF files using free Adobe Reader® software. Share PDF files with confidence, knowing colleagues and customers will be able to see your work exactly as intended — across file formats, platforms, browsers, and devices. • Optimized viewing mode. Maximize your screen for optimal reading and presentation of PDF files with the new Reading Mode. Menus and panels disappear, and a transparent floating toolbar appears, to help you navigate PDF files more easily. • Online file sharing. Use Adobe SendNow online services from within Acrobat to send, share, and track large files without the headaches of email size restrictions, FTP sites, and costly overnight services. 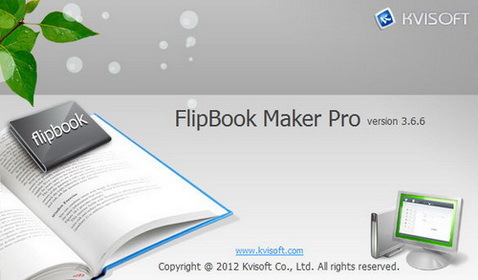 Kvisoft FlipBook Maker is a reliable software designed to convert your PDF files to page-turning digital publications. Kvisoft Flipbook Maker gives you an easy-to-use way to convert PDF to Flash flip book with page flipping animation effects without any programming skills. This type of flip book software turns your PDF documents to flipping online magazines, e-newspaper, online catalogs, digital booklets, and other publications for online sharing.